BLOOMINGTON, Minn. -- The FBI is working to locate those responsible for throwing an explosive device into Minnesota's largest mosque. A U.S. official tells CBS News the explosive was a pipe-bomb type device. Officials say the device showed "more sophistication" than expected. The FBI was called in and is taking the lead role in the investigation. 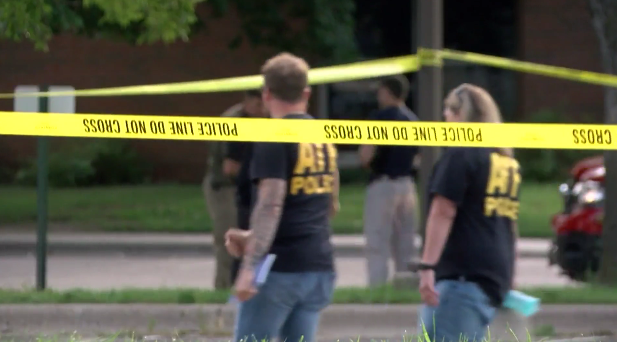 The explosion took place around 5 a.m. Saturday before morning prayers at the Dar Al-Farooq Islamic Center in Bloomington, a suburb of Minneapolis, which primarily serves people from the area's large Somali community. No one was injured, but the explosion damaged the imam's office. The center's executive director said the worship leader is typically in his office at that time, but he was running late that day. Shrapnel from the explosion caused damage throughout the room. CBS Minnesota reports local lawmakers, including Gov. Mark Dayton, are speaking out to condemn the violence. "What a terrible, dastardly, cowardly, terrible act this was," Dayton said Sunday morning. "It's an act of terrorism, a criminal act of terrorism." The station also reports there's been an outpouring of support for the mosque. People of all faiths condemned the explosion, and a number of residents showed their support with signs outside the mosque. The center's executive director says he'll do whatever he can to help the investigation. A solidarity event will be held on Tuesday for those affected by the explosion. At this time, federal investigators have not classified the blast as a hate crime. But Rep. Keith Ellison, D-Minnesota, who represents a neighboring district and is Muslim himself, said he's concerned it's part of a pattern of increasing intolerance. "I wish I could tell you this is some isolated thing, but we've seen an uptick," Ellison said Sunday. A $24,000 reward is being offered by several local Islamic organizations for information about the case.